Sony's long-awaited sequel to the RX1 puts 42 megapixels in the palm of your hand. Hindsight is 20/20, as they say. If you look back at the incredible boom of full-frame mirrorless cameras from Sony over the past few years, you can draw a line back to one single camera that kicked things off. By pairing a small 35mm f/2 Zeiss lens with a 35mm, full-frame sensor wrapped in a compact metal body, Sony made the RX1 a fresh new experience for photographers who could afford it. That first RX1 was a barnburner of an enthusiast camera for 2012. It was compact and capable of producing stunning images, but it was hampered by sluggish autofocus paired with mediocre battery life. It was a sign of things to come, but no one could have known how quickly Sony would expand its vision for a family of full-frame cameras and lenses. Two years on, we finally have a new RX to save our pennies for: the Sony Cyber-Shot RX1R II ($3,300). Since the advent of Sony's A7 system, we were pleased to see that it decided to revisit the RX formula, intended yet again for a niche audience. Using all its 2015-knowhow, Sony surprised us with a camera jam-packed full of the best imaging tech cherrypicked from its star cameras. Lovers of the original RX1, you can breathe a sigh of relief: Sony didn't mess with a good thing. The RX1R II is as compact as its predecessors, with Sony focusing its efforts on the inside. 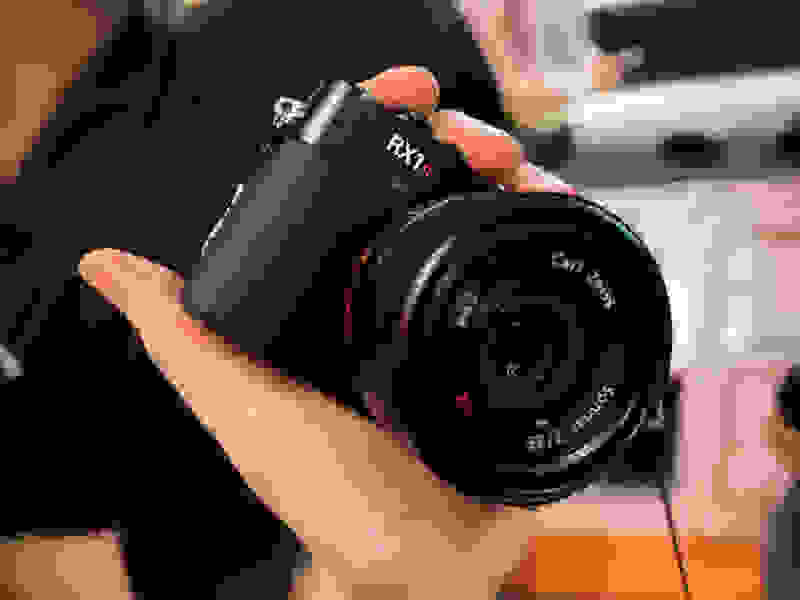 Its sturdy metal build and small lens might make it look like a weak point-and-shoot, but the array of controls you have access to clearly advertise its enthusiast bent. The RX1R II retains the first-generation camera's compact footprint and, unfortunately, its wimpy grip as well. One of the more noticeable new design changes was to incorporate a pop-up electronic viewfinder into the RX1R II's design. It's a similar solution to what Sony built into the RX100 IV, but with one major usability difference—you don't need to pull the diopter towards you after it pops up. It's a minor change but one that we really appreciated after dealing with the multi-step EVF deployment process in the RX100 IV. The resolution isn't on par with competing cameras like the Leica Q, but its refresh rate and image are good enough in a pinch. 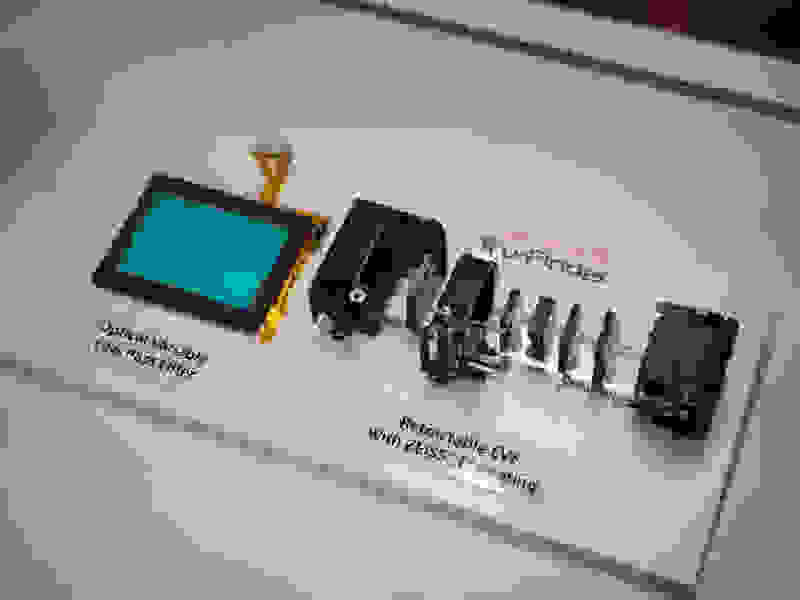 Like Sony's other 2015 offerings, the EVF sports Sony's T* coatings to reduce glare. You don't get a pop-up flash in the RX1R II, but, let's be honest— we doubt many RX1 owners were using that anyway. We thought the RX1's controls were just right two years ago. We guess Sony thought so, too. Perhaps our biggest gripe when we reviewed the original RX1 back in 2013 still hasn't been addressed, namely the lack of a good grip. We prefer the grip on Panasonic's similarly-sized LX100 quite a bit more. We loved this camera's lens controls when they debuted and they remain exactly the same in this iteration of the RX1 design. You get a clicky aperture ring, a smooth-turning focus ring, and even a switch for the camera's macro focusing range. To the right of the lens is a prominent focus mode selector knob with three settings for AF-C, AF-S, MF, and DMF. The entire control scheme is very, very similar to the original RX1, with a rear vertical control wheel and a rear horizontal dial. When you turn the camera on, it's with the snappy power switch that surrounds the threaded shutter button. 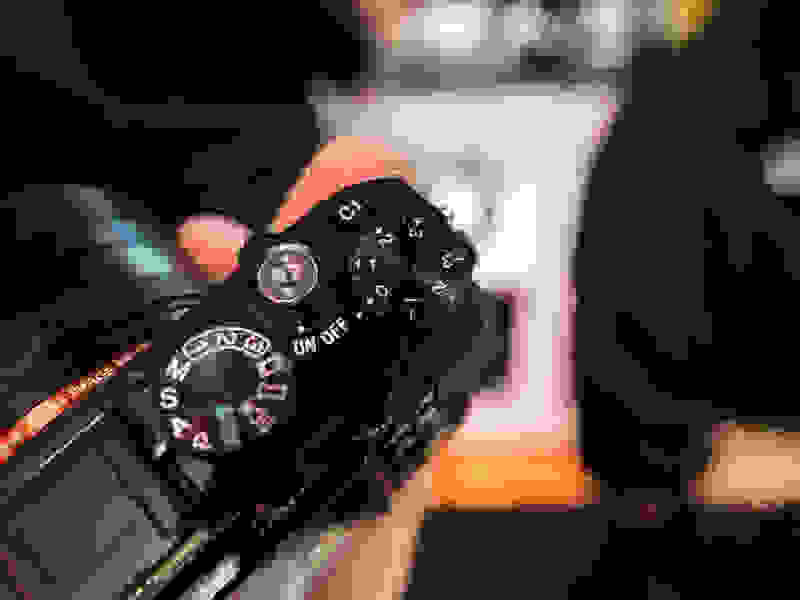 An exposure compensation dial and mode selector flank the shutter. A tilting rear screen can elevate the flexibility of a small camera like the RX1R II. Though you might not notice it at first, the RX1R II has learned a great trick from Sony's more recent compacts and mirrorless cameras. Its rear screen now tilts up and down. For us, this can make or break the utility of a camera even if the camera is small and wieldy like this one. 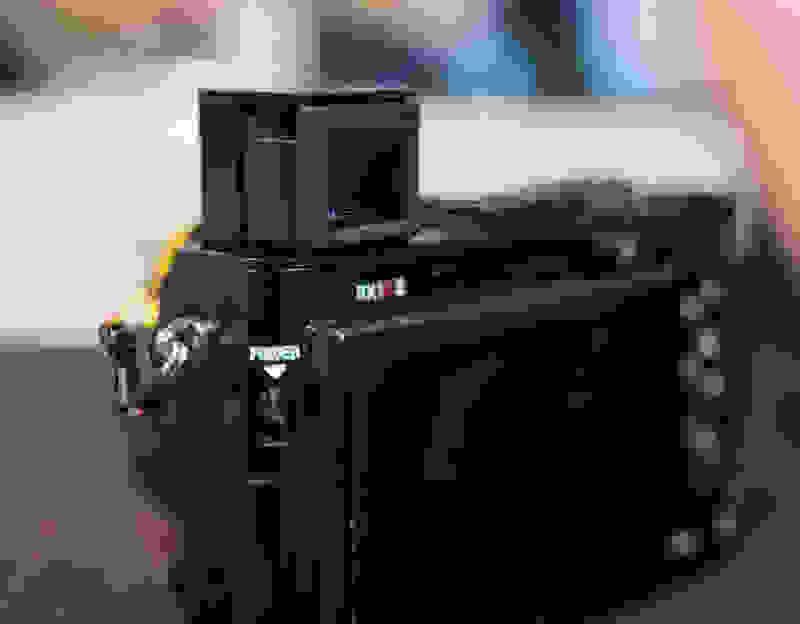 It's something we'd love to see in competing enthusiast compact cameras, since the Leica Q, Ricoh GR II, and Fujifilm X100T all have fixed rear monitors. The RX1R II's two biggest hardware features—a pop-up EVF and new variable OLPF. But raw resolution isn't the only trick that the RX1R has picked up. Sony's debuted a brand-new technology into this camera that we haven't seen before. 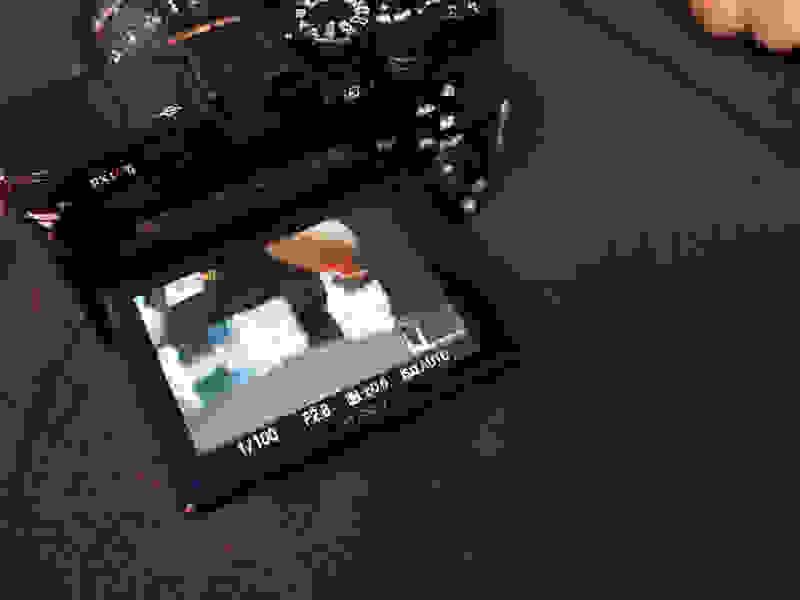 Using a special liquid crystal layer inside the camera, the RX1R gains a selectable optical low pass filter. It has three settings—off, standard, and high. Even better, since the filter is electronic, there's an anti aliasing bracketing mode, so you can get a shot with or without the protection from ugly moiré patterns. 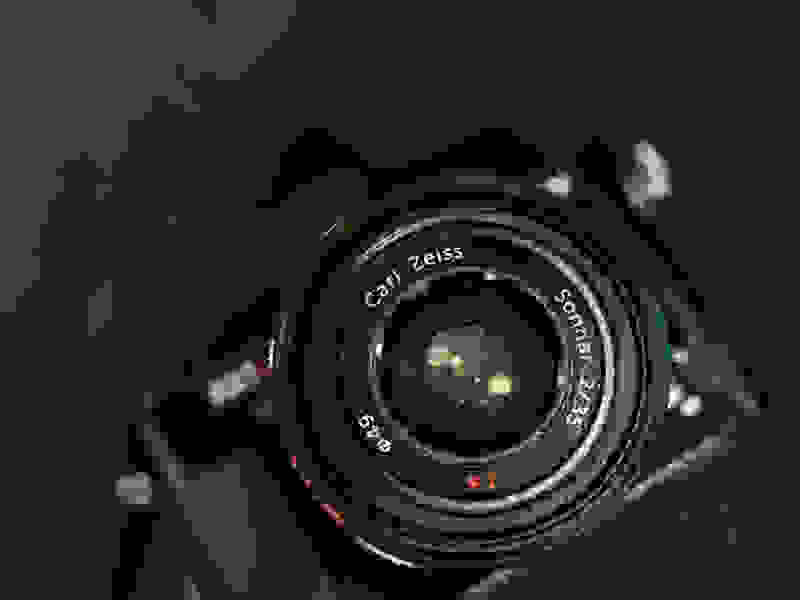 Beside the sensor, perhaps the most endearing part of the 2012 RX1 was its Carl Zeiss Sonnar T* 35mm f/2 lens. We're happy to say that nothing, from the lens's leaf shutter, to the coatings on the lens, to its handy macro mode, has been changed. As it's still one of the best, smallest lenses we've used in conjunction with a 35mm sensor, we're glad that Sony decided to keep it as-is and focus on more pressing improvements. In our brief hands-on time with this new Sony, we were generally pleased with how it handled and functioned. Autofocus speed was a common complaint among owners of the original RX1, but we feel like Sony's grasp on autofocus has improved a lot since 2012. Certainly, the advanced compact category's all-stars have never had the snappiest autofocus under all conditions, and it seemed like a quirk you'd have to put up with whether you chose a Fuji or a Ricoh or a Sony to tote with you. The compact EVF isn't the best money can buy, but it's handy to have in some circumstances. This sensor also features 399 phase detection autofocus points on the sensor, which just makes the autofocus package that much more impressive. During my time with the camera, I thought it was perfectly quick to grab a lock in the dim, indirect lighting of Sony's booth at Photo Plus Expo. It wasn't neck-snappingly rapid, but it displayed sure-footedness when homing in on a subject. Of course, we'll reserve final judgement until we get a chance to properly kick the tires out in the real world. Earlier this year, we scoped out Leica's advanced point-and-shoot, the Q. We really loved this camera's sharp lens, chiseled Teutonic looks, and simple user interface. We're hesitant to say that it's been bested in every regard by the RX1R II, but on paper it's close: you get a 42 MP sensor instead of 24, and all for almost a grand less. Even for the crowd that can justify the expense of a camera like this, $1,000 is still a nice savings. We just can't say no to this sweet little Zeiss prime lens. Leica aside, the RX1R also has some highly refined APS-C competition that sells for significantly less. If you like the 35mm focal length, the Fujifilm X100T is quite nice, for instance. You could easily buy two Fujis for the cost of one $3,300 RX1R II. Value aside, we know that the Sony has a lot going for it. 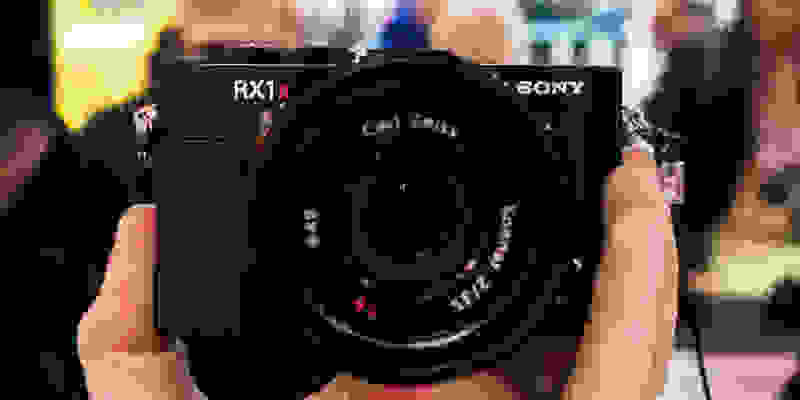 Sony could have dropped the higher resolution sensor into the old RX1 and called it a day, but between the new tilting screen, variable AA filter, WiFi, and handy electronic viewfinder, this is no halfhearted update. We're excited to get this powerful little camera into our labs and onto the streets. Stay tuned for our full review.